7 African countries have earned an amount of USD 6, 320, 805 from world football governing body, FIFA, under the World Cup Club Benefits Programme. 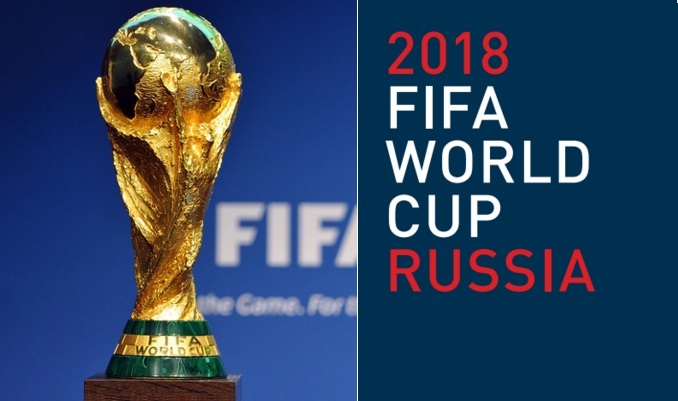 This was announced by FIFA on Tuesday as it published the payments made to various clubs around the world for releasing their players to feature in the 2018 World Cup tournament. 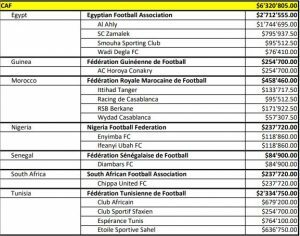 Under CAF, Egypt, Guinea, Morocco, Nigeria, Senegal, South Africa and Tunisia received different payments from FIFA. Clubs like Al Ahly of Egypt, Horoya of Guinea, Enyimba of Nigeria, Esperance of Tunisia, Chippa United of South Africa all got some compensation for the use of their clubs in the tournament. The highest earners from the programme were 10 European clubs namely: Manchester City FC, Real Madrid CF, Tottenham Hotspur FC, FC Barcelona, Paris Saint-Germain FC, Chelsea FC, Manchester United FC, Club Atlético de Madrid, Juventus FC, and AS Monaco. These clubs had the highest number of players in the tournament. In total, FIFA paid out USD 209 million to 416 clubs from 63 associations all around the world.